Everyone likes the mashed potatoes! 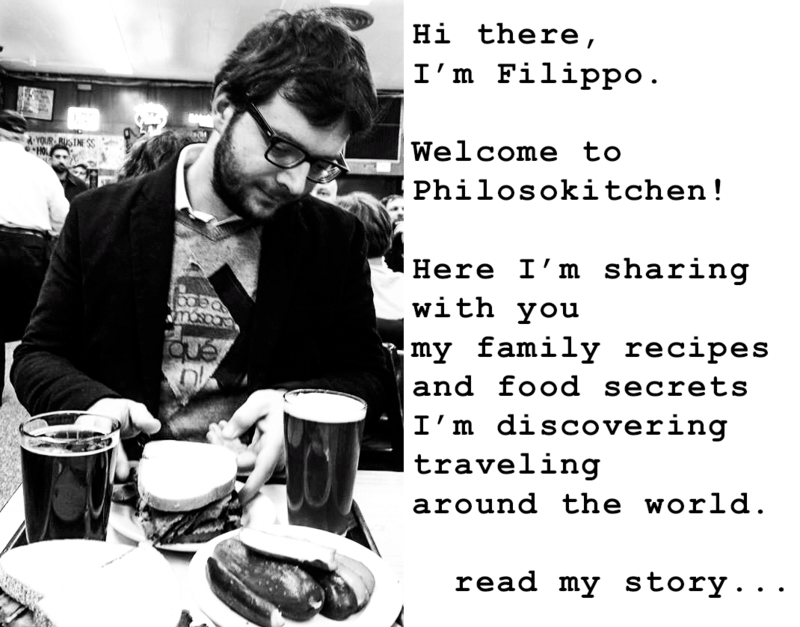 Today I propose a recipe from my family, the Italian mashed potatoes. The main characteristic of this recipe is the total absence of lumps, and Its smooth and creamy taste. 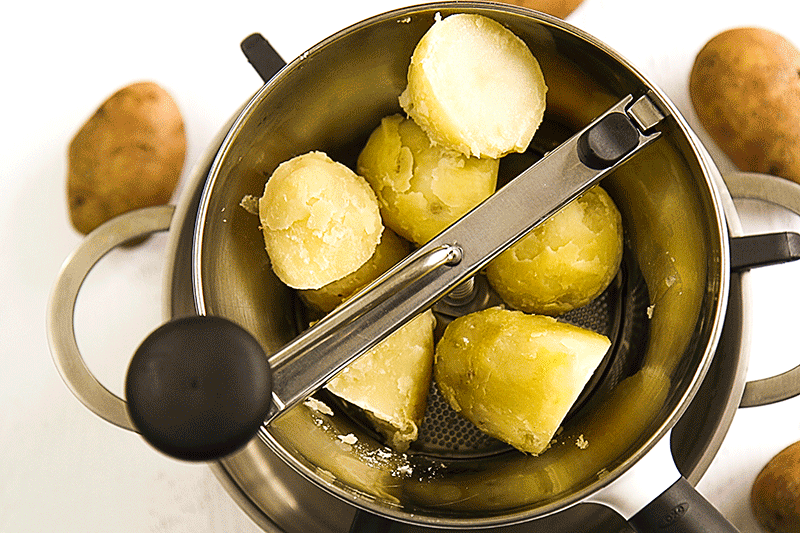 To obtain a puree in this way is essential to sift the peeled potatoes throughout a good mill. To make my mashed potatoes even more delicious I added grated Parmigiano Reggiano cheese and white pepper. 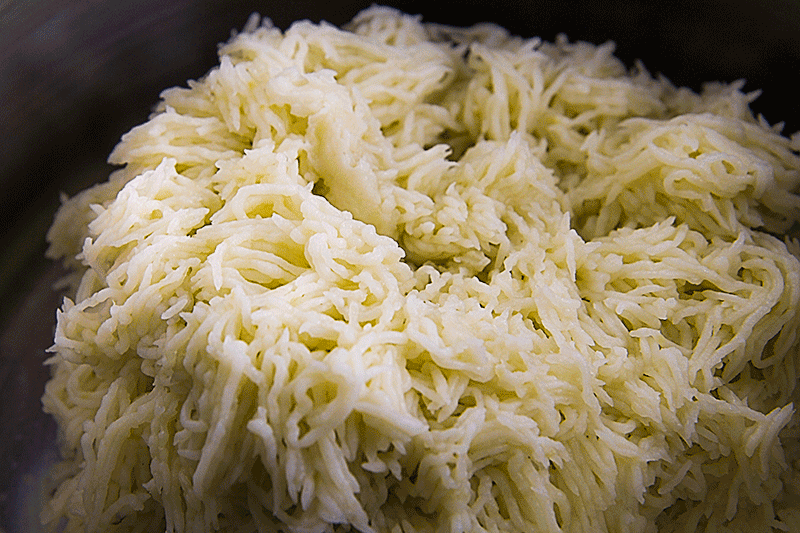 If you want, you can replace it with another type of grated cheese, the important thing is that it melts and amalgams easy and fast with the puree. 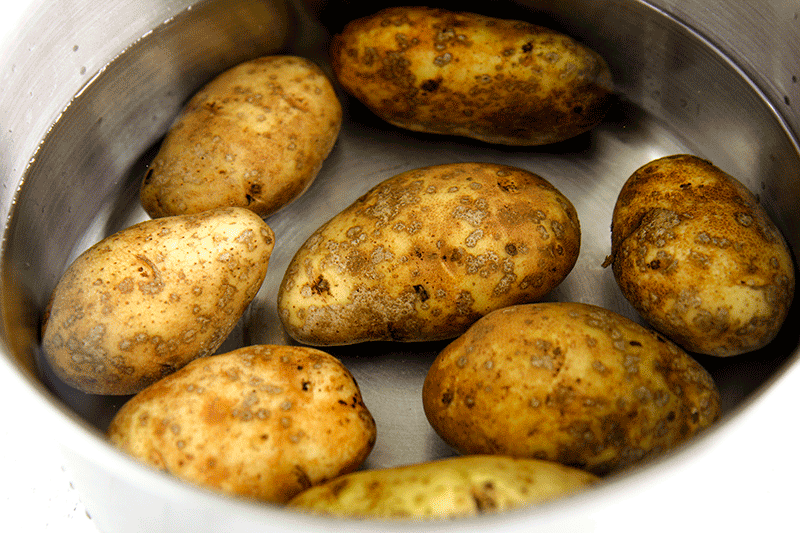 Wash and rub the potatoes to remove all traces of soil. Boil the potatoes, starting from the cold water, 40 minutes after the water has started to boil. 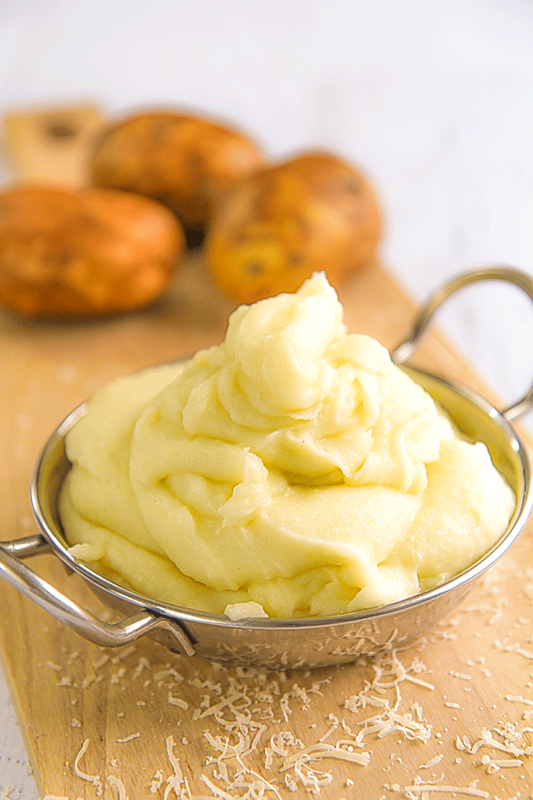 To obtain a perfect mashed potatoes without lumps, It’s best use a food mill with the finer sieve. This tool is essential to obtain a perfect end result. if your kitchen miss it, I suggest you to purchase it! When the potatoes are cooked, peel them quickly. Now, put the mill over a pot, in which we poured the butter very cold. Sift the potatoes directly on the butter, stirring occasionally. 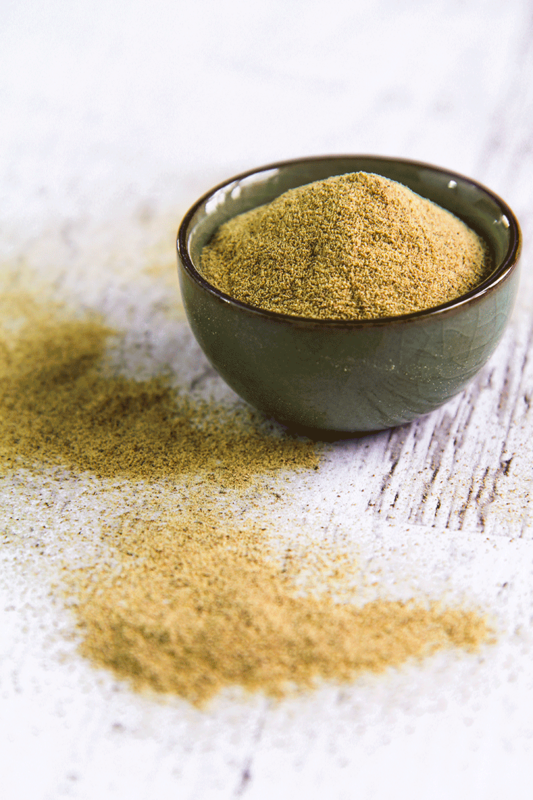 Less time will pass before sifting, more the puree will be soft and creamy! If you do not need to serve the mashed potatoes immediately, let’s stop here, It’s possible conserve the puree into the refrigerator for one day, covered with plastic wrap. When we are ready to serve the mashed potatoes, pour it into a nonstick pan. Combine the Parmigiano Reggiano cheese and half the milk with the mashed potatoes. Then, heat to medium low heat the puree, stirring constantly. As the mash absorb the milk, let’s add more. When the puree will be soft and creamy, add salt to taste and add the white pepper. Serve hot, aside to stews or braised meats. If you do not need to serve the mashed potatoes immediately, let's stop here, It’s possible conserve the puree into the refrigerator for one day, covered with plastic wrap. When we are ready to serve the mashed potatoes, pour it into a nonstick pan. Combine the Parmigiano Reggiano cheese and half the milk with the mashed potatoes. Then, heat to medium low heat the puree, stirring constantly. As the mash absorb the milk, let's add more. When the puree will be soft and creamy, add salt to taste and add the white pepper. 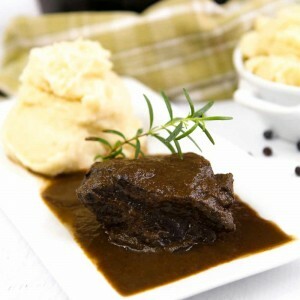 Serve hot, aside to stews or braised meats.